Oh thank heavens!! I found blue and white!! It's not quite the navy I was hoping for, but it's a new whole collection of blue and white prints.... a delft blue.. So pretty! Now I have to figure out what to make with it before I order it all up! I have been yearning for it for awhile, and finally, it's come alive!! I'm all giddy! Fat Quarter Shop is where I spotted the two lines. Now I have to do further research and see which one is crisper. The blue palace looks like the blue has some white in it. I like the crisper look of the bluework/redwork line. We shall see. So, to all of you readers, who lurk and don't... where do you buy your fabrics online? Here in Canada, at my quilting shops, fabric is at least 14.95/m . Seriously. We won't even talk about charm packs or jelly rolls. I gasp out loud when I see the $24.95 price tag on a charm pack. Seriously. Trying to find the modern designer quilt fabrics is also so difficult. the selection here is murky. I really don't know why there is such an inflated price as opposed to the US. It really irks me. I want to support my local shops, and do, but when I see what the prices are online it just makes more sense to buy online. So readers. 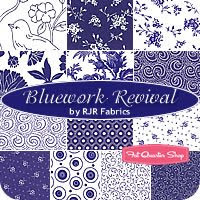 Where do you buy your quilt fabric online? I've bought from Fat Quarter Shop - always fast and easy transactions :) Fabricshack.com has good deals too, fast transaction but not as much communication. Love those blue and white collections - have you found your project yet? I sometimes have second thoughts about buying from U.S. online shops because of the whole issue of duty/taxes. It seems so hit and miss but makes it hard to calculate what the fabric will cost. Charm packs here? Hopelessly expensive. And forget jelly rolls. A good online Canadian shop is Sew Sisters. Their prices are super, their shop is great and their service is fabulous. 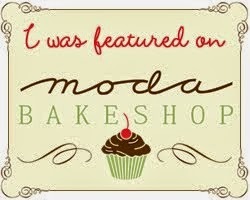 Their brick and mortar shop is great too. Fatquartershop is a good one and another is fatquarterquilters.com for things like charms and jelly rolls. I often find fabric from etsy sellers. And for basics, fabric.com. Good luck. 14.95$ is not so bad, here their is noting pretty under 16.95 and how about a 65$ jelly roll! I think the trick is to shop around. and check the shipping prices and the sales to get you $ worth of that flat rate enveloppe. Most shops will fit 7 yard, some will even do 8. If I'm looking for a specific line I'll usually google it and compare the prices and selection. Etsy sellers are often more generous for yardage, meaning that thay will cut a bit over that 36in and shipping is sometimes cheeper if you only buy one yard. La Chakra is a great ebay store and she often has shipping rebats if you buy more then 6 yards. I have a few more tips, email me if you want, and I'll give you a breakdown, it would take to much space here in the comments. They both have AWESOME Sale/clearance sections!! I find the local shops here not as up to date on modern designers and the prices can't compete with the US. I've shopped at SewMamaSew, Hancocks-Paducah, The Fat Quarter Shop, The Fabric Buffet and Ebay.